$12,000 Raised for Charity in January! January is the beginning of wedding dress shopping season and boy was it busy at Brides for a Cause! 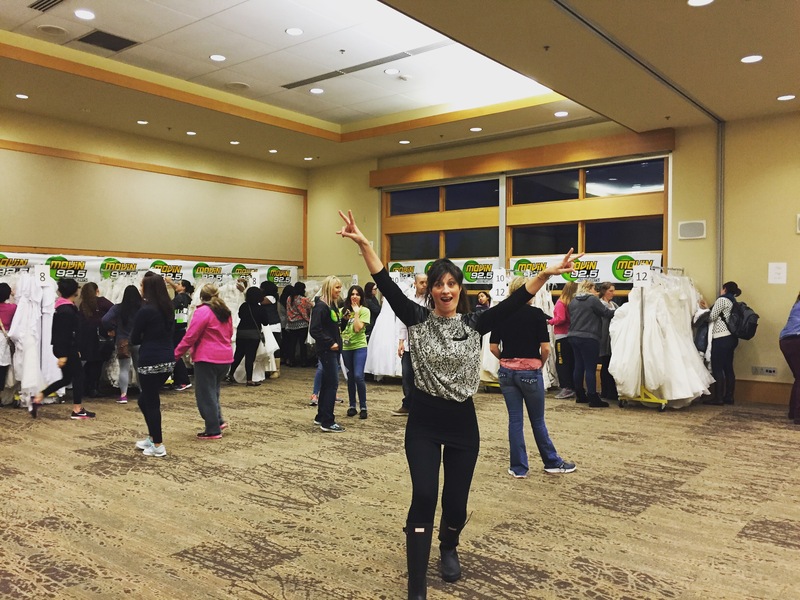 We hosted two Dress Dash events in January (Portland and Seattle), collected over 100 dress donations, sold over 300 gowns and raised over $12,000 for Wish Upon A Wedding! What a month and a great start to kick off 2016! We are so lucky to have such amazing donors who donated (and trust us with) their wedding gowns and such amazing brides who shop at our Portland boutique, browse our online store and attend our road show events! It takes two to tango! Here’s a photo of our founder selling gowns at 7am at our Dress Dash events. If you want in on the fun, check out our Volunteer page to sign up to help!